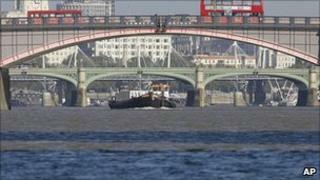 The River Thames has beaten waterways from across the world to win a top environmental prize. It scooped the International Theiss River Prize, given for achievements in river management and restoration. The International Riversymposium honoured the Thames for its recovery from a biologically dead river in the 1950s to today's thriving waterway. It beat finalists the Yellow River, in China, Hattah Lakes, Australia, and the Smirnykh Rivers Partnership. The numbers of fish are increasing, with 125 different species recorded, including internationally important smelt and shad. The Environment Agency said since April 2005, 393 habitat enhancement projects have been completed and nearly 70km of river has been restored or enhanced. Alastair Driver, the Environment Agency's national conservation manager, said: "In the last 150 years the Thames has been to hell and back, and it has taken thousands of people many decades to restore it to this point. "Tighter regulation of polluting industries and our work with farmers, businesses and water companies to reduce pollution and improve water quality, have all helped to make the Thames a living river once again." The Environment Agency has pledged the £218,100 ($350,000 Australian Dollars) prize money will go to the Thames Rivers Restoration Trust. Part of the prize fund will be used by the trust to establish a twinning project to help restore a river in the developing world. The award was presented on Tuesday at the International Riversymposium in Perth, Australia.